Psoriatic arthritis forms in people who are living with psoriasis. Those who are dealing with this condition of the skin are also at risk for seeing the signs of psoriatic arthritis. Often, the arthritis forms after the skin condition produces lesions on the skin. 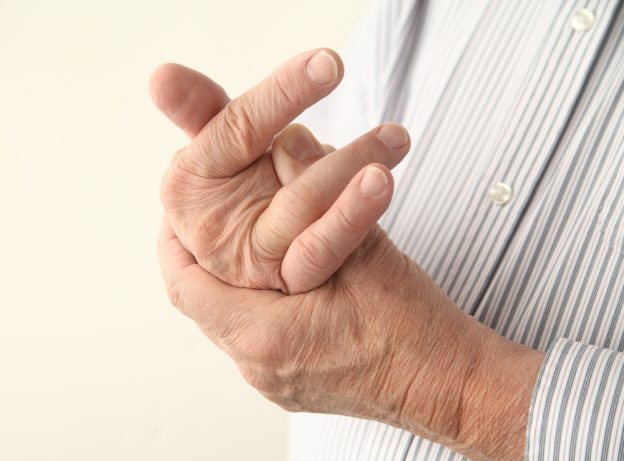 Psoriatic arthritis is a chronic condition that can worsen over time. If a person does not receive the proper care, arthritis can cause serious issues. That’s why it is very important to know more about the signs of psoriatic arthritis. This is especially true for those who have or know someone who has psoriasis. So, we’ve learned a little about what accompanies psoriatic arthritis. But, what exactly is this condition? Well, it’s a type of inflammatory arthritis that can be very mild in some people but more extreme in others. Although most of the people who have this form of arthritis also have psoriasis, it can affect other people, too. Usually, if a person develops this kind of arthritis without having psoriasis, he or she has a family member who has the skin condition. Psoriasis arthritis attacks the joints. It can impact any of the joints in a person’s body. But, it typically affects the larger ones, like those in the fingers, toes, and back. Since this is an inflammatory condition, the affected body parts will also become very swollen. In some instances, only one joint will be affected. But, for other people, there may be several joints impacted by arthritis. Swollen body parts: This often includes fingers and toes. Bodily aches and pains: Pain in the back is a common symptom. Usually, people will experience pain in the lower back area because of inflammation in various joints. It’s also common for people living with psoriatic arthritis to have pain in their feet. Some may also have aching fingers. Joint stiffness: It usually affects the joints early in the morning or after the person has been resting for a little while. This is one of the most common signs of psoriatic arthritis. Fatigue: People who have psoriatic arthritis often feel tired. Symptoms of psoriasis: This form of arthritis occurs often in people who have psoriasis. So the signs of psoriatic arthritis are usually accompanied by the symptoms of psoriasis. This may include red and flaky patches on the skin. It may also include nails that appear to be infected. Although there is no cure for this condition, treatment is available. Various treatment options are used to help reduce inflammation and joint damage. There are oral medications as well as injections. If you are living with this form of arthritis, it’s definitely best to seek the professional guidance of your doctor. The best treatment plan for you will be based on your symptoms and how severe your condition is. Sometimes, medication and treatment can be a little pricey. This issue causes a lot of people to miss out on the opportunity to get better. The RX Helper understands the struggles that people face when it comes to the prices of medical help. That’s why we provide a medication assistance program. This program helps people to get the medication they need and at little to no cost. Do you need some medicine that’s a little out of your price range? No problem! Just contact The RX Helper today! This entry was posted in Patient Assistance and tagged Patient Assistance, patient assistance programs, prescription assistance programs, Psoriatic Arthritis on September 27, 2018 by Bobby.